Murdering your fellow soldiers pays a lot better than you’d expect. Fort Hood shooter Nidal Hasan has been dishonorably discharged from the United States Army, according to military officials. Haug detailed that it will technically take some time until the paperwork is signed removing Hasan from the Army’s ranks. But Haug said the order will eventually be signed and backdated to the date of conviction, effectively removing Hasan from the Army as of his conviction date. A military panel also ordered that Hasan be stripped of his military pay. However that order will not take effect until place 14 days following his sentencing. Hasan will continue to receive his full military salary until Sept. 10. Earlier this year, NBC 5 Investigates was the first to report that the Department of Defense showed Hasan had been paid about $300,000 after his arrest for the Nov. 5, 2009, shooting. After the NBC 5 investigation aired, three U.S. Representatives have drafted legislation that would stop military payments to soldiers awaiting trial for major crimes. The money would be returned to the soldier if they are acquitted but if they are found guilty the money would go to the victims. The $300,000 in payments already made to Hasan are unlikely to be returned to the military. 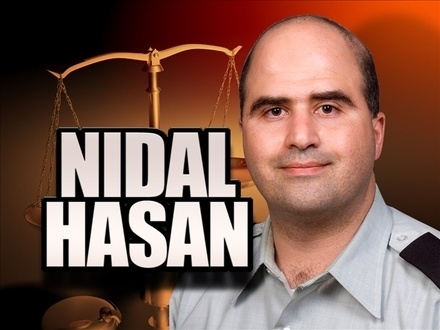 Even after Nidal Hasan murdered 13 of his fellow soldiers in the name of radical Islam, he was paid $300,000 and YOUR INCOME TAXES contributed to that. Ever heard anyone say that crime doesn’t pay? Well, apparently that doesn’t apply to jihad in the military.